Kicking your casual summer style up a notch doesn't always require buying new clothing. You can change it up by simply accenting with colorful jewelry. I've partnered with Estsy Shop; Baubles & Bling by Cynthia to showcase a few reasonably priced custom pieces that you can purchase to upgrade your summer style. 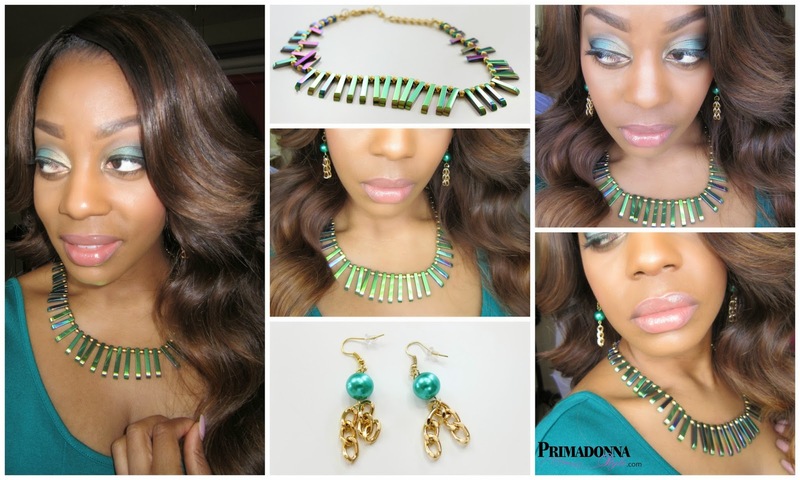 This iridescent statement necklace and drop earrings makes this basic breezy dress pop! Click links for purchase info. Baubles & Bling by Cynthia! Check out the Baubles & Bling Red Statement necklace here. Check out the Baubles & Bling Violet Statement Necklace here.